Gary Bennett (left) raps while Josh Baxter (right) plays guitar and does vocals in their personal studio in Nibley. NIBLEY – Josh Baxter and Gary Bennett have lived in Cache Valley their whole lives, but next week that will all change. They will move out, leaving their small recording studio in Nibley behind, so they can take their music career to the next level. Josh &amp; Gary started making music together a year ago, and they say they came together by accident. Gary let a friend record some of his rapping thinking it would never be heard by anyone. “I told him not to show anybody. Then one day, he randomly showed Josh and Josh thought it was cool,” said Gary. Josh, who has played guitar since he was in middle school, approached Gary about working on music together. “We had a clear-cut vision of what we wanted to do. We wanted to mix singing with rap,” explained Josh. The two said it’s hard to fit their music in a specific genre since it has a unique sound, but the best way to explain it is indie singing mixed with hip hop. The first song they recorded was “Blind Date” along with local musician Keiyana Osmond. In the past year, Josh &amp; Gary have written many songs together and have even had their song “Feel Right” played on 94.5 &amp; 98.3 Utah’s VFX. They write, record, mix, and edit their own music. 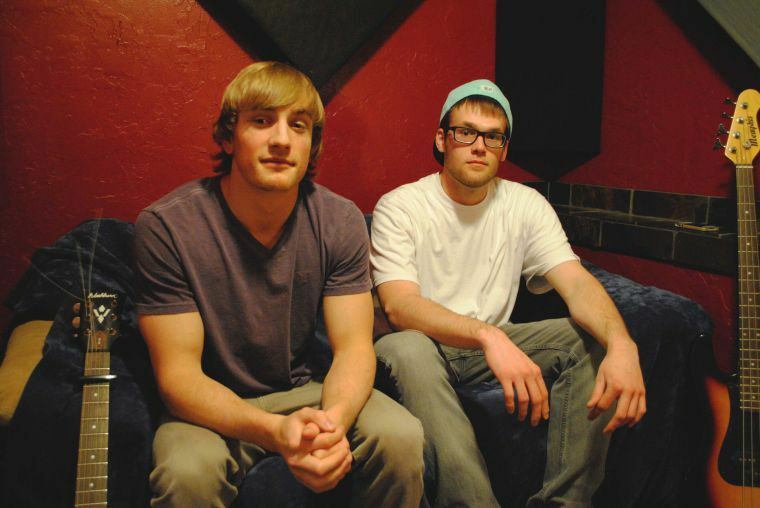 They claim most of their songwriting inspiration comes from their personal experiences from living in Cache Valley. Josh &amp; Gary plan on putting out new music soon and they hope to start more live performances. They will perform at Delta Sigma Phi’s Luau on Friday, April 4<sup>th</sup>. Josh &amp; Gary released a new song on March 26<sup>th</sup> called “Lost and Found” featuring Keiyana Osmond. You can download their music for free on <a href=”https://soundcloud.com/gary-b-6″ target=”_blank”>SoundCloud</a>. For more updates, search for Josh &amp; Gary on <a href=”https://www.facebook.com/JoshAndGary” target=”_blank”>Facebook</a> and <a href=”https://twitter.com/JoshNGary” target=”_blank”>Twitter</a>.